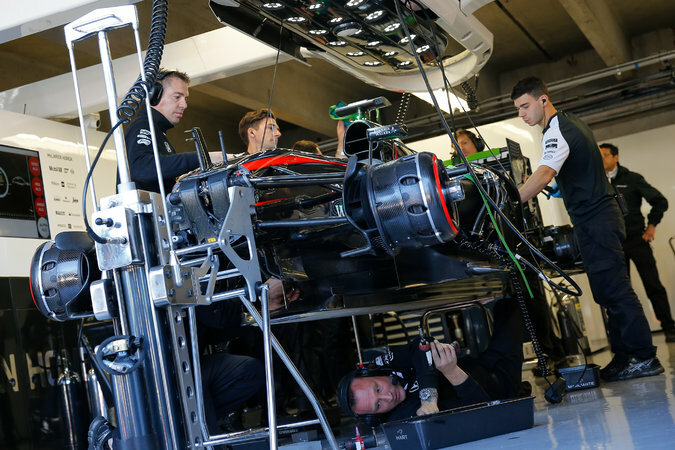 Mechanics at work on a McLaren Formula One car. Had the engine control units in Volkswagen road cars been subject to the same level of scrutiny as those in Formula One racing cars, it’s likely that the German automaker would not have been able to introduce illicit software that fooled emissions tests and led this year to the biggest fraud in automobile manufacturing history. Electronic security and policing of software systems is a major area of industry growth and concern. And as it is in other areas, Formula One is being used as a testing ground for future electronic security developments. The current Formula One engine control unit, or E.C.U., is a hotbed of technological development for the car manufacturing industry. Formula One teams use the system to police software and racing devices in the cars and to control their engines and electronics systems.